Hoy en Soluciones en Puerto de La Cruz en Tenerife. Muy interesante tienda. A very interesting shop, music, books (sections for Deepak Chopra and Paulo Coelho), Buddhist texts, astronomy, ecology, crystals. They always have excellent music playing, which one does not come across elsewhere. They were playing Liberation´s Door by Snatam Kaur. Which I had hoped to find on bandcamp, but sadly not. 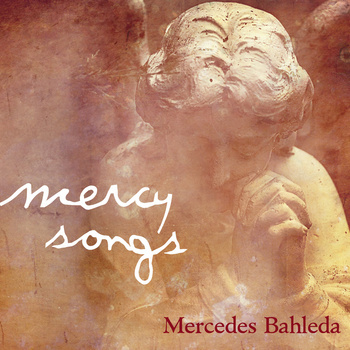 What I did though find was Mercy Songs by Mercedes Bahleda. Mercy Songs by Mercedes Bahleda is an interesting fusion of Tibetan Buddhist mantras, Latin Christian church hymns and ancient Vedic chant. This entry was posted on February 21, 2012 at 4:08 pm and is filed under music. You can follow any responses to this entry through the RSS 2.0 feed. You can leave a response, or trackback from your own site. About Mercy …. we need more miracles and mercy in the world … dont you think ?? ?